At the first Technology Salon in London, we had a very thoughtful discussion on the implications of gender in using mobile technologies to stimulate social and economic development. Sign up to get invited to future Technology Salons in London and elsewhere. Recently, Ronda Zelezny-Green published her take on the Salon and one of her points I disagree with. She says mobile phones, like all technologies, are not gender neutral. Look at any stock high-production volume mobile phone. Turned off, is it “male” or “female”? Is it a masculine tool or a feminine one? Now turn it on. Has its gender connotations changed? No. At the basic level, when first purchased, mobile phones are as gender neutral as humans can make an electronics tool. The goal of a mobile phone manufacturer is to sell the most phones with the least variation between handsets to minimize production costs. So in hardware we have waves of black, grey, and sometimes white phones. In software, the user interface is almost always as neutral as possible, from the colors to the images and menus. Now this isn’t due to a desire by the mobile phone industry to appeal just to men or even to focus on men. It’s the desire to sell as much product as possible to everyone, male or female. In pursuit of that goal, they’ve made phones so gender neutral as to be close to bland. Do we really need another dark glass candybar? In fact, here is a challenge: please do find a high volume mobile phone that is inherently “male” or “female” in its design. Good luck! No mobile phone stays gender neutral. Now look at your own mobile phone. It shows your desire and ability to customize its hardware and software and says as much about you as you want it to. Since the first days of mobile devices, aftermarket manufacturers have offered a dizzying array of customization options and original equipment manufacturers have made a massive shift to providing software personalization options for the user. In addition, once purchased, mobile phones can take on great significance in the local culture and reinforce or upend existing power dynamics – between genders, generations, and the general community. Here is where we can have gender influences. Here is where we can talk about phones not being gender neutral. And here is where there is a gender divide in mobile phone access. 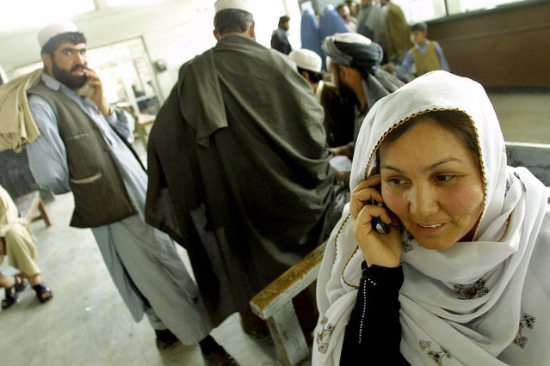 Women, often in Muslim countries, do not have the same level of access that men do. Girls, regardless of religion, are often at a disadvantage versus boys. 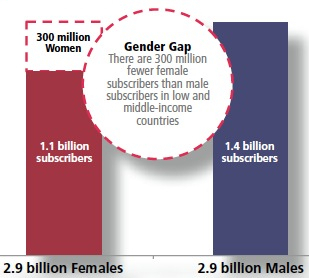 Overall, the gender gap in access is around 300 million – as there were only 1.1 billion female subscribers versus 1.4 billion male subscribers to mobile phone services in 2010. So the need for equal access and the usefulness of mobile devices to empower women and girls is not questioned. What is up for discussion is how “genderized” mobile phones are or can be, and what affect that might have on adoption. Wanna join in debates like this? sign up to get invited to future Salons in London, Nairobi, San Francisco, New York City, and Washington, DC.